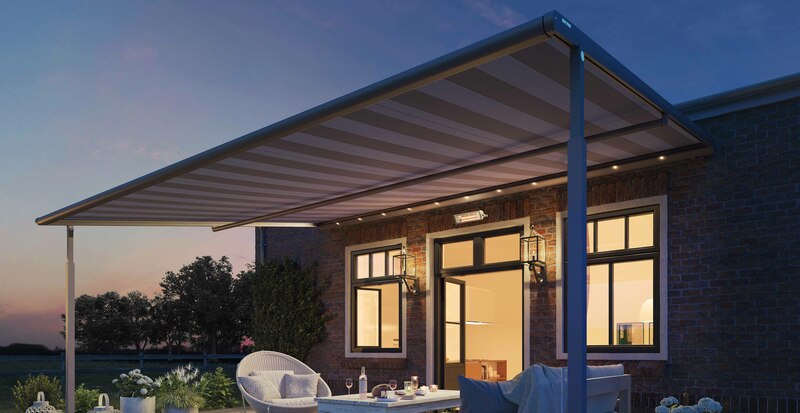 The Plaza Viva /Stretch/OptiStretch LED version is a pergola awning. 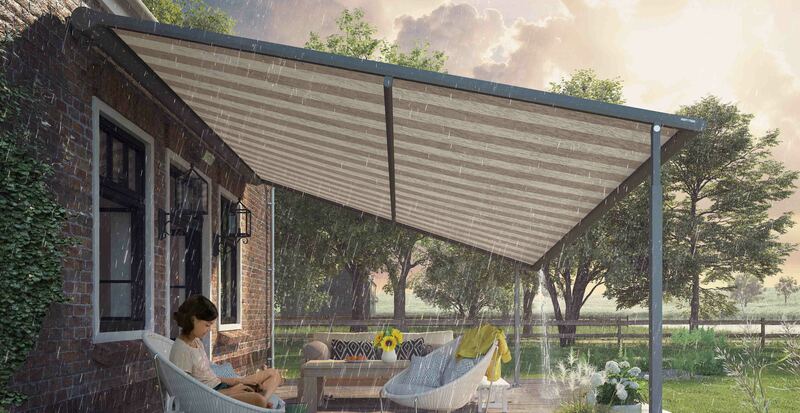 The structure comprising posts and sun protection elements ensures particular high resistance against surging winds. Virtually any projection can be selected regardless of the width. Stretch/OptiStretch LED version's cassette housing, emit a warm white light and, with their 2.6 watt per spotlight, they have a luminosity that can be compared to a 20 watt halogen bulb. They consume 85 % less electricity. The LED spotlights have a guaranteed operating life of at least 30,000 light hours. With the BiConnect radio control (optional), the LED spotlights are infinitely dimmable. The electrical components and connections will be installed on site. The high-quality design of the Plaza Viva/Stretch/OptiStretch LED version is also characterised by the choice of materials that are used. 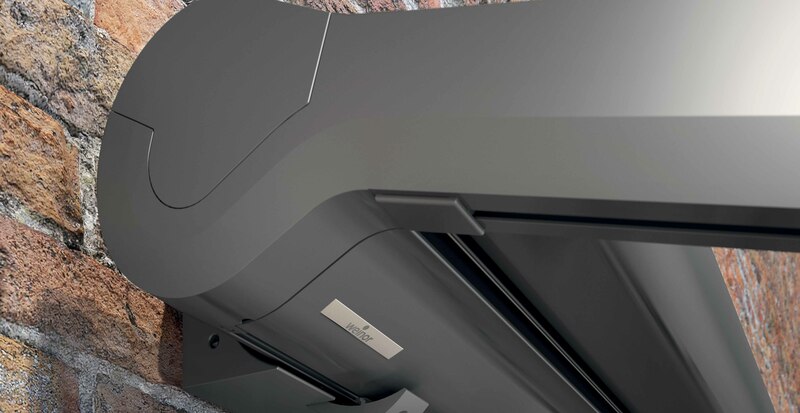 Extruded aluminium is used to manufacture every profile. The stable roller tube is coated with high-quality Galvalume and is thus absolutely corrosion-resistant. 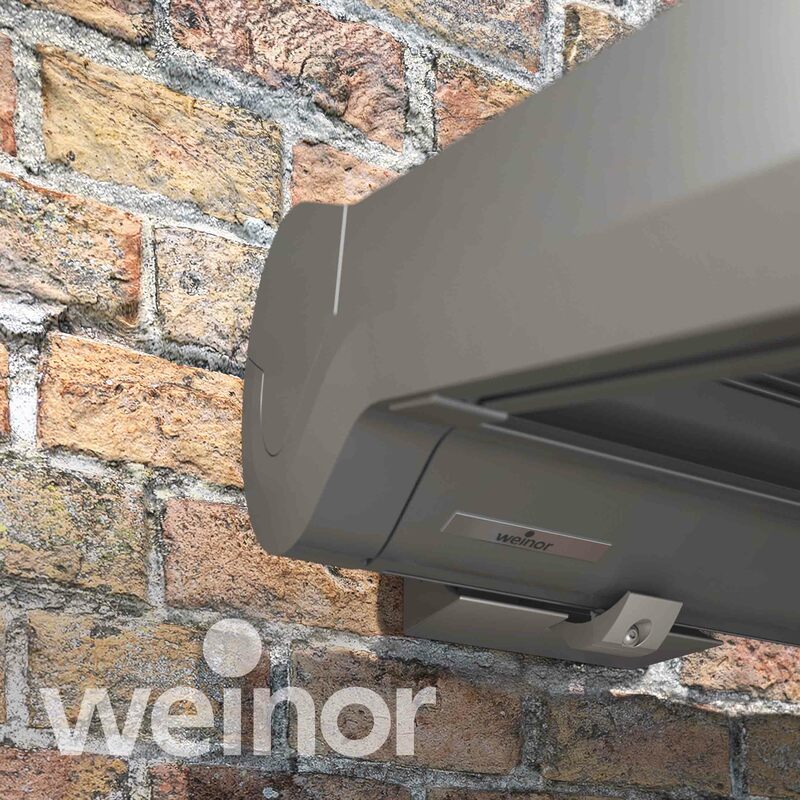 The connections are made of stainless steel and the rollers of the carriage are made of UV-resistant plastic. The fabric tension is generated by a spring-tensioning system in the drop profile. A new flat, tear-proof rope which is wound up on rope drums in the fabric housing quietly and in a controlled manner is used as a back pull medium. It is additionally guided by the carriages. 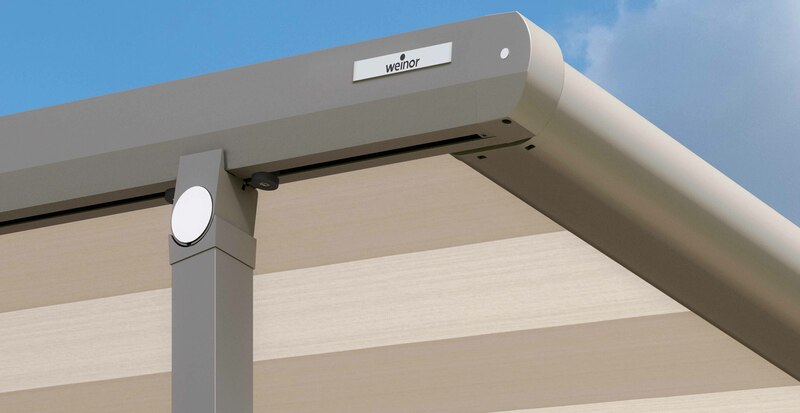 The optional telescopic post can be really easily fully lowered on one side using the gear handle thus ensuring that rain drains off reliably with a pitch awning of 4° or more. Every aluminium profile is pre-treated with a chrome-free coat to DIN 50939 standards with a powder-coated finish in façade quality. 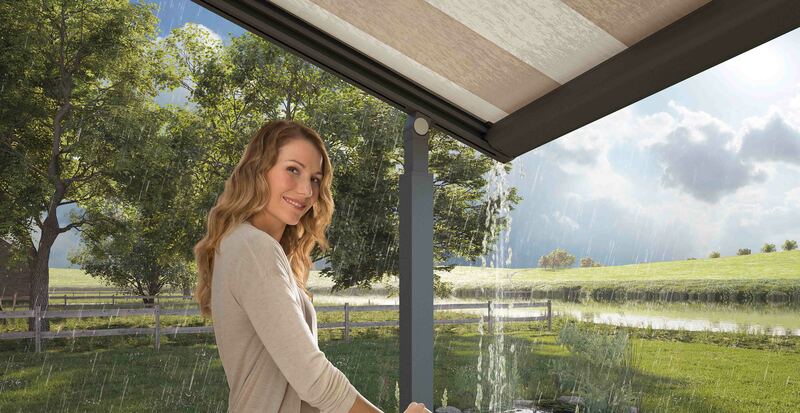 The Plaza Viva/Stretch/OptiStretch LED version is available in 47 RAL colours as standard and in 9 scratchproof and resistant trendy conservatory colours with an elegant textured look. We also offer a choice of approx. 150 other RAL colours. 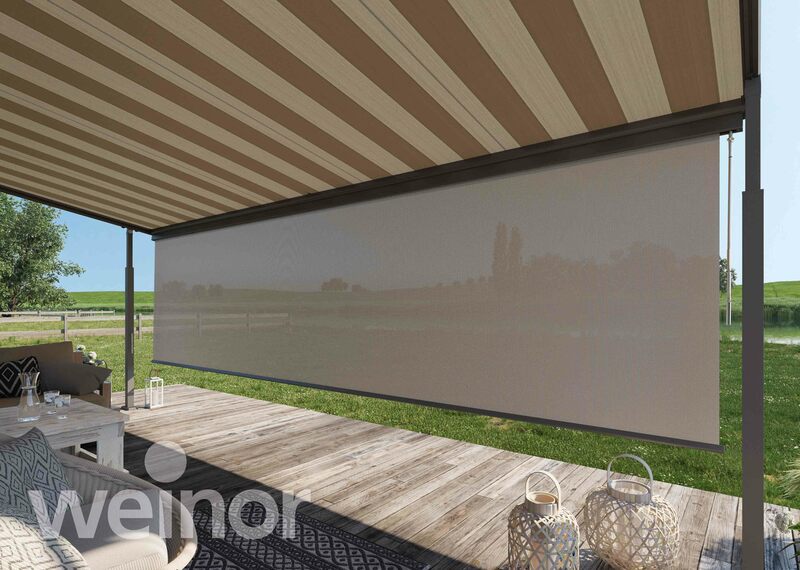 The fabric is available in a wide range of different materials, colours and patterns and is guided on the side channels which are installed on the roof. 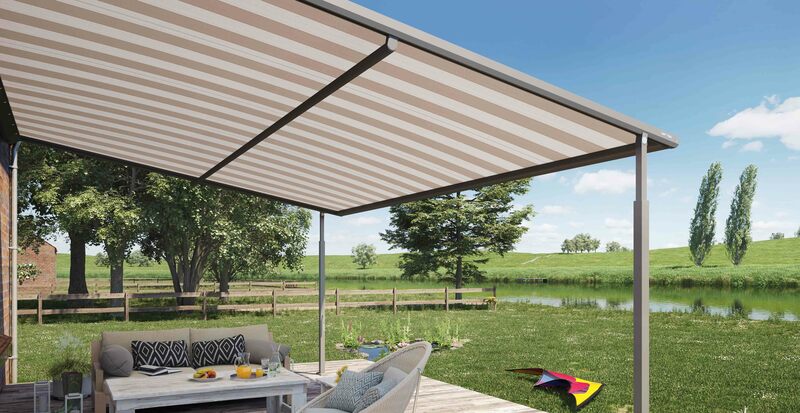 The awning fabric consists of either a high-quality acrylic or a high-quality polyester material, single-colour or striped. 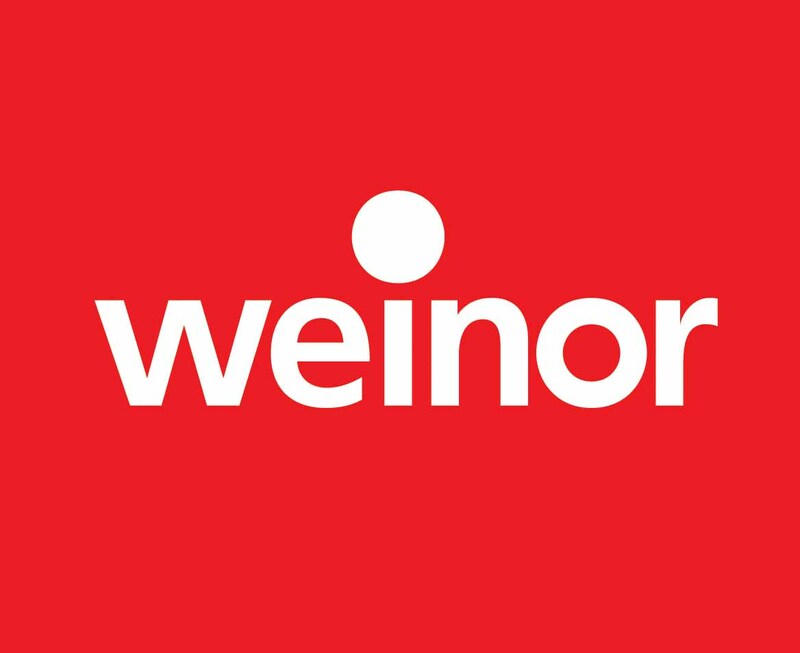 The colour and pattern can be selected freely from the weinor collection. Both fabric qualities are spinneret dyed. This means that the base fabric is dyed before each individual fabric yarn woven prior to manufacture. This offers best quality in terms of longenity, colour fastness, long service life and UV protection. Furthermore, the fabrics are dirt-, water- und oil-repellent thanks to the nano coating. 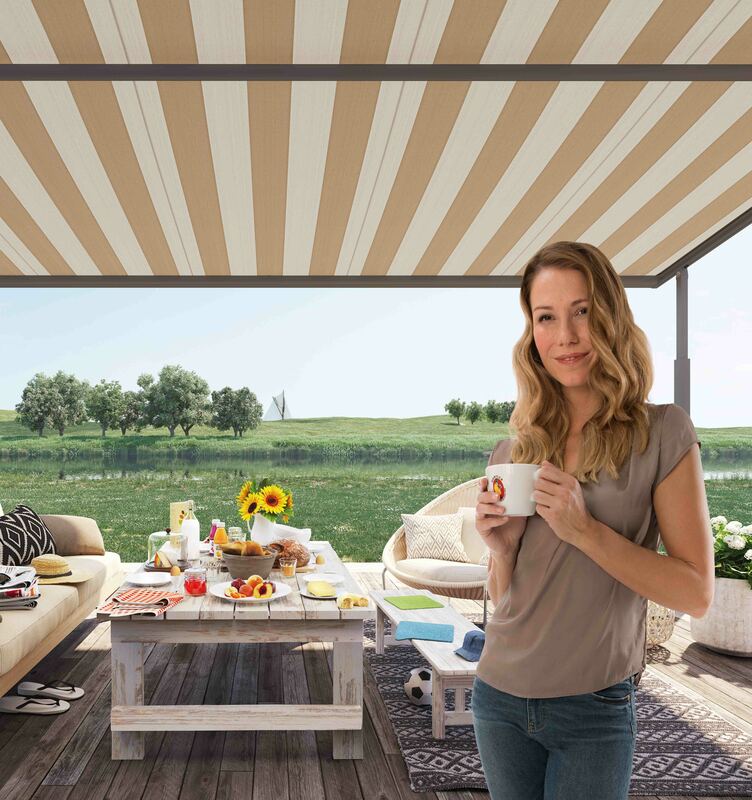 As standard, the pergola awning is operated with a drive which is integrated into the roller tube, using a wall-mounted switch or optionally using a handheld radio transmitter.